Winter can hit hard in Eastern Washington and the folks at No-Li Brewhouse go all out during this season. But prior to the seasonal change the brewer will host its 2nd Annual No-Li FrostFest in downtown, Spokane, Washington. 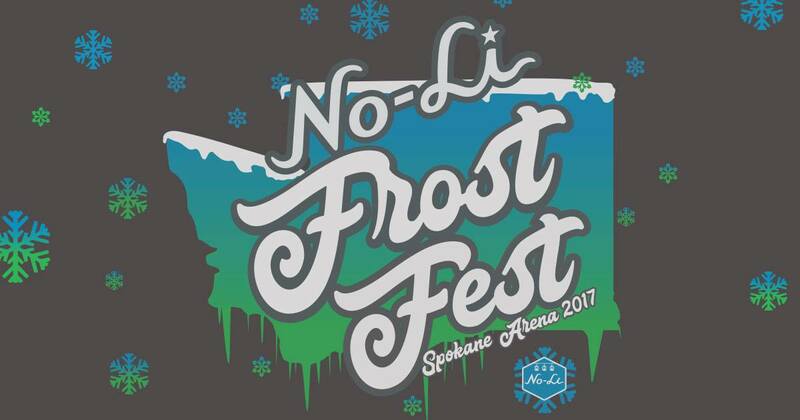 Tickets are nearly sold out for the No-Li FrostFest that will take place in a new, larger venue of the Spokane Arena on Saturday, December 9, 2017. There will be no tickets available to purchase at the door and the last day to purchase online will be Tuesday, November 28. Tickets are available through TicketsWest.com. No-Li FrostFest ticket includes a T-shirt, a tasting glass and five 4-ounce pours of beer, with the option to add more tasting tickets. A portion of the proceeds go to benefit the Washington State Fallen Heroes Project’s Illuminating Courage monument on the arena grounds that honors our region’s military members killed during their service. No-Li FrostFest features 12 new one-off beers, including five barrel-aged creations, three haze-style beers, brews based off of No-Li favorites and more. You’ll also see a winter carnival of entertainment, including ice carving fire dancing, aerial performers, magicians, a world-class lumberjill, live music, DJs, roller derby players and more! The event takes place around the concourse of the Spokane Arena and is divided into four distinctive areas with entertainment themed to match the beers on tap in those spots. It’s like the “It’s a Small World” — but with more beer. Those wishing to stick around for the evening’s Spokane Chiefs vs. Seattle Thunderbirds hockey game, can add a ticket to their package for only $10 thanks to a partnership with the Chiefs organization.